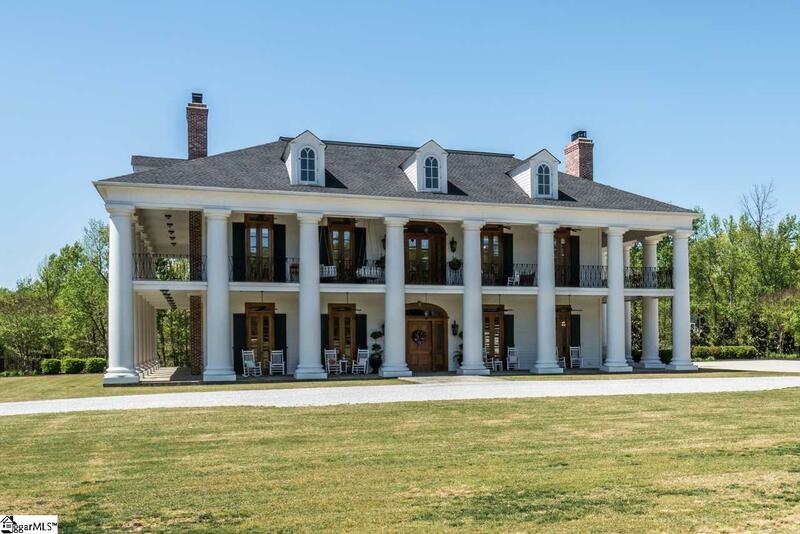 Welcome to "Magnolia Hall Plantation where quality and quantity have merged into the perfect southern state that is unparalleled from the grounds to the extremely detailed and magnificent levels of construction with just as much emphasis put on design both inside and out! 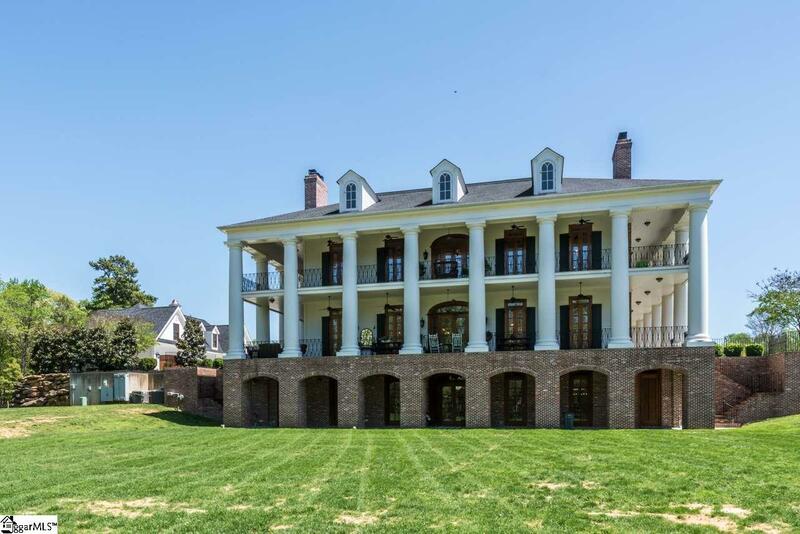 This 100% custom estate sits on approximately 50 acres and will completely take your breath away! This residence has a complete double wrap-around covered porch with Bluestone custom slate floors and French Door access from literally every room of the home! This home has 12 foot ceiling heights on the main level, custom heart of pine floors throughout, high-end residential elevator for all four levels which makes master bedroom on main level an option. This home has a private gymnasium with wall-to-wall mirrors, 10 wood-burning fireplaces with gas starters, built-in library and cabinetry and closet systems throughout. The cozy library has a secret panel for direct lower level billiards room access. As you enter the home, you are drawn to the heart of this home which is the open rear living room and gourmet chef-worthy kitchen that is also open to keeping room complete with southern brick fireplace. The kitchen is amazing and has a side-by-side Wolf dual fuel range, custom cabinetry from floor to ceiling with floating shelves, two farm sinks, beautiful marble and granite throughout, a side-by-side Miele refrigerator and freezer, beautiful subway tiled backsplash with pot filler, a full walk-in chef prep area with coffee system and heart pine countertops-a chefs dream come true! The formal dining room has a gorgeous one of a kind chandelier, and even your own private fireplace! The second level has four large rooms to include a master bedroom which is large enough for a cozy seating area, wood-burning fireplace, and amazing bathroom suite with custom marble tile floors, a full glass surround double door marble, tile and walk-in shower with multiple shower heads, his and hers classic custom built-in vanities, an oversized freestanding soaking tub, separate walk-in steam shower with glass door, a private water closet and a large walk-in closet with custom built-ins and a wall-to-wall custom built make up area for the queen of the home! There are three additional bedrooms each with private bathrooms with custom tile floors and showers, Jacuzzi tubs, walk-in closets with California built-ins, no upgrade was left out The upper level of this home has multiple options for bedrooms five or six and even an extra bonus room perfect for children at play. This upper level also has a full bath and is the perfect kids paradise. On the lower level you will find a billiards room with a wet bar and wall-to-wall custom built-ins, a hand hammered copper sink, granite countertops, dishwasher and even a personal refrigerator. The lower level also has a beautiful home office or man cave with a wonderful floor to ceiling custom wood mantle and surround with your private wood-burning fireplace. This lower level also has a private home fitness room, a large walk in storage area and even a kids den or second family room. There is a large private bath on the lower level in the event this area is needed to be an In-law suite! The grounds of this estate are second to none and at just under 50 acres, you feel as though you are in complete solitude. 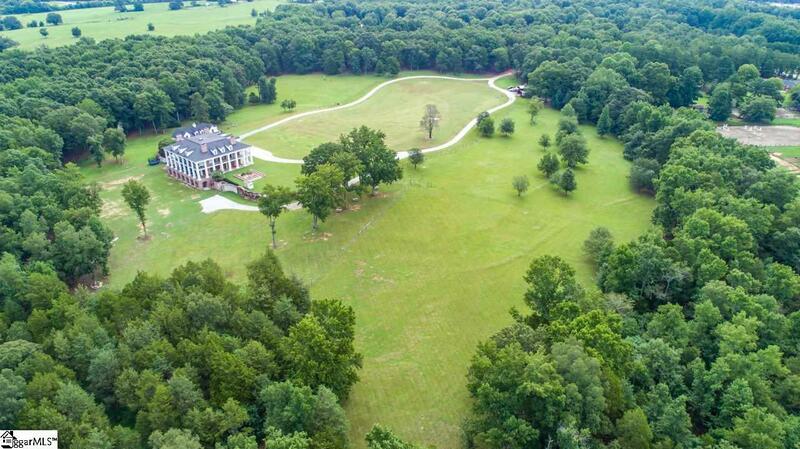 There are seven lots on this property that have perk capability and up to a $1 million conservation easement if new owner so desires to enforce. (County can confirm). For the car enthusiast, please take note of the true six car garage that is 66 x 28 with three custom built garage doors and even a half bath as well! There is expansion potential above if needed. Do not miss the custom barn on this property built specifically for farm equipment, workshop area, possible stables for the equestrian, etc. You will not find a property such as this in a great location and climate like this, with this much land anywhere!